roll up screen, 85 x 203 cm, PVC tarpaulin material, two feet, single silver fixed pole. The echobell roll up screen is an eye-catcher and helps our referral partners to present echobell professionally at an event. 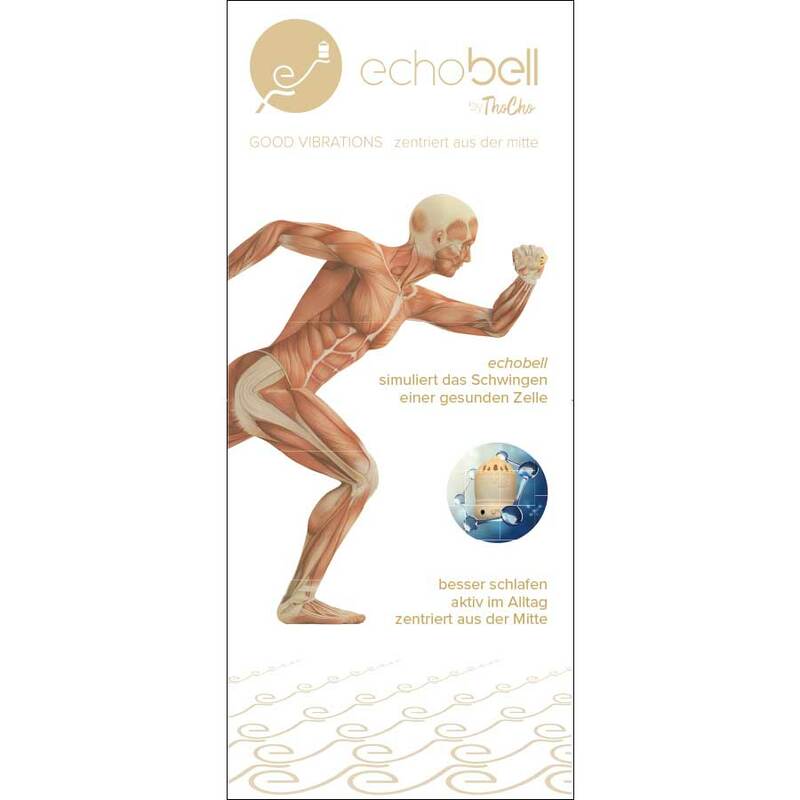 Our cover picture of echobell brochures is shown here in large format – “This gets under your skin!” – An emotionalized presentation of the effect of echobell.